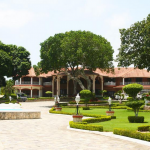 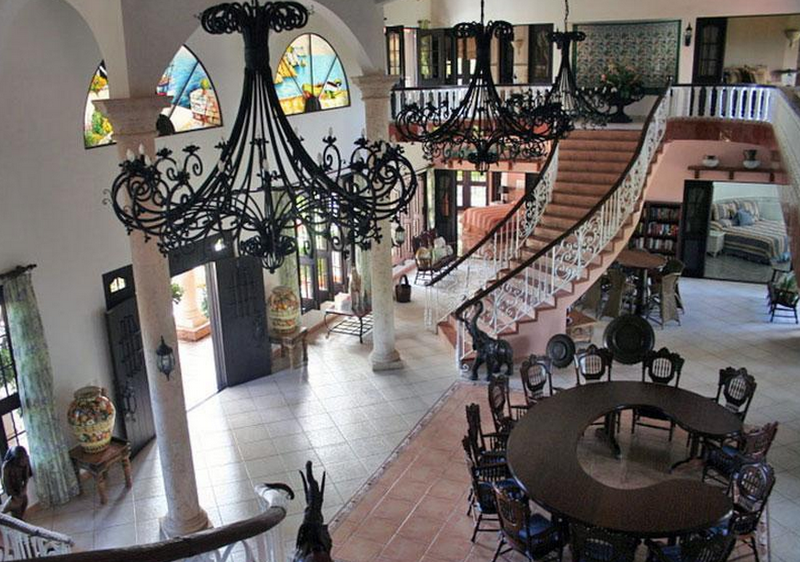 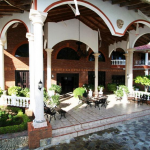 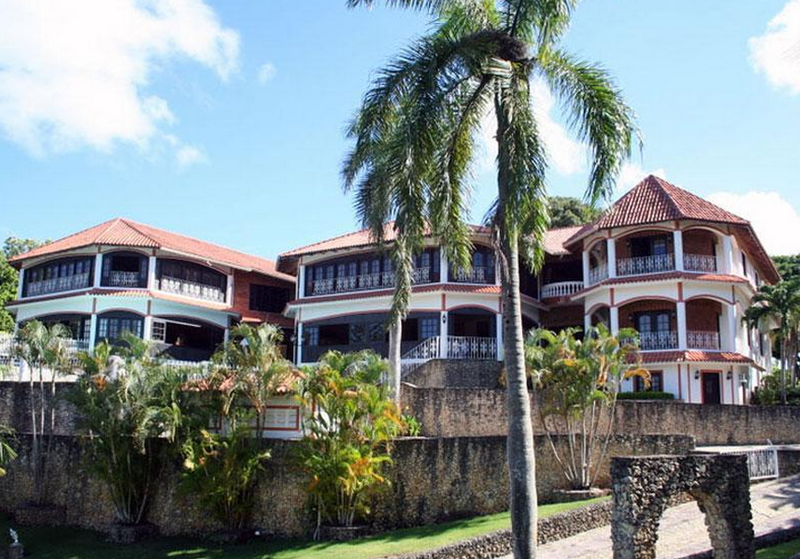 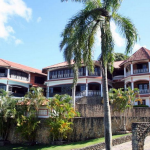 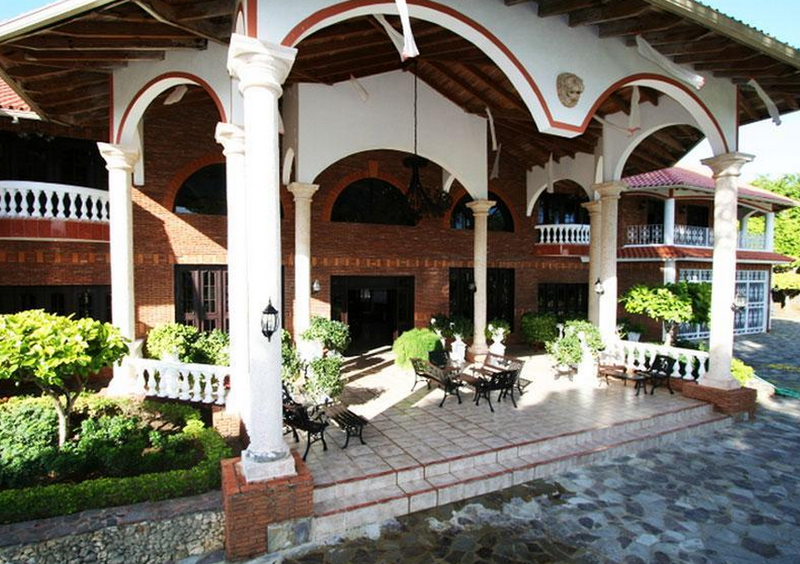 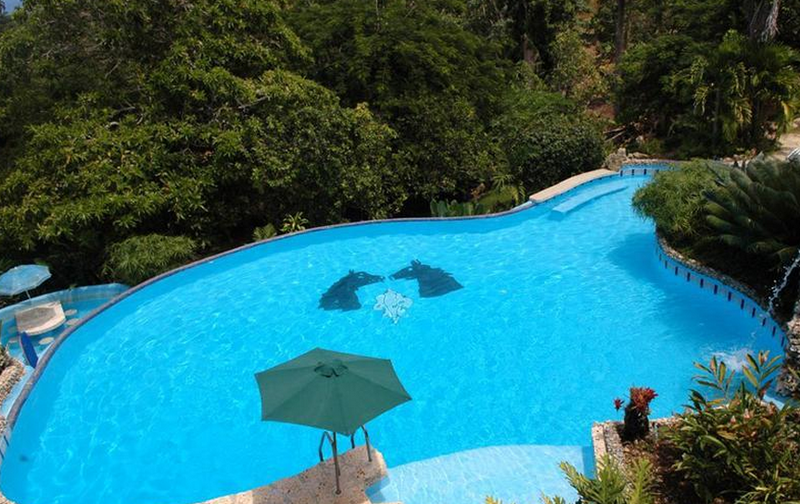 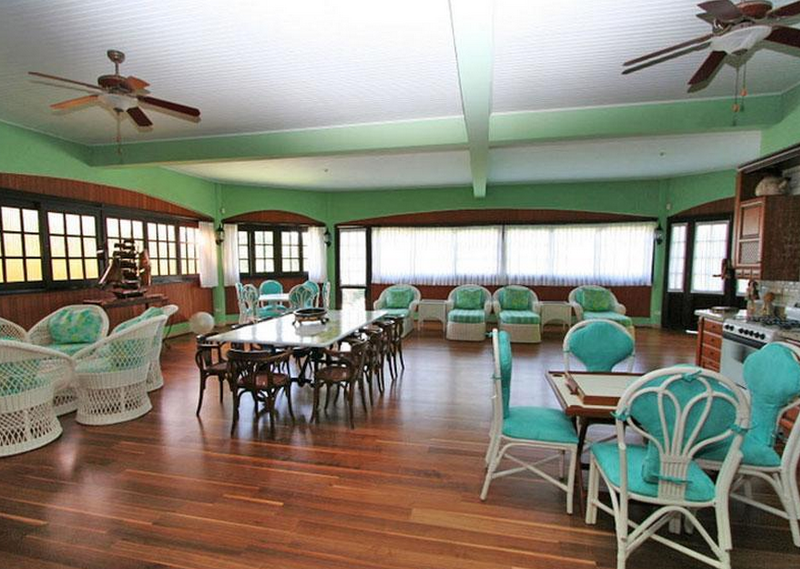 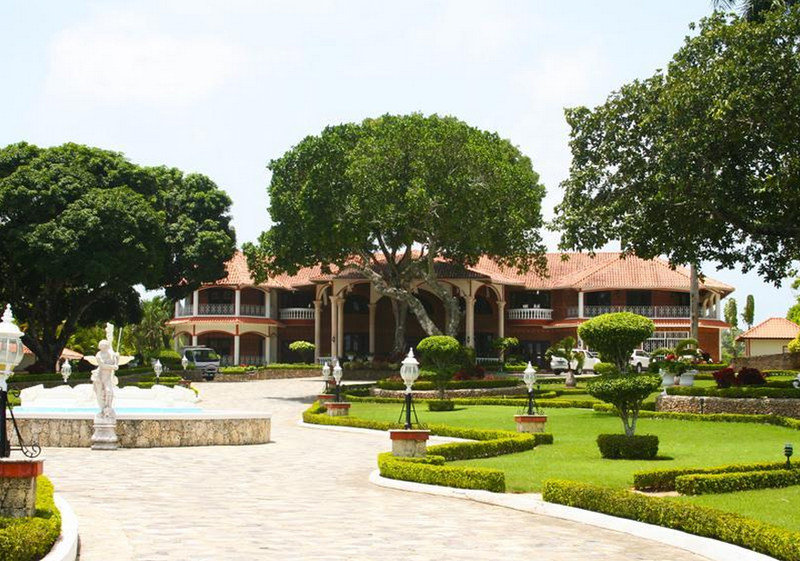 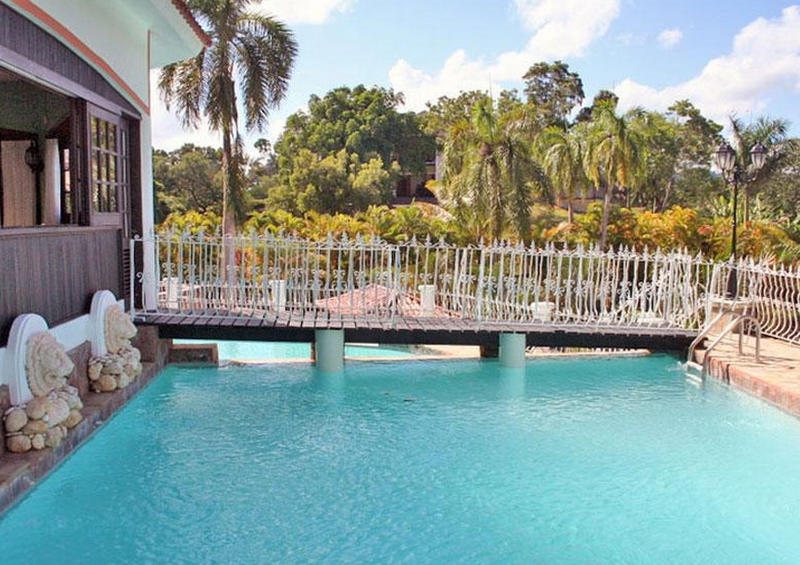 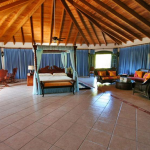 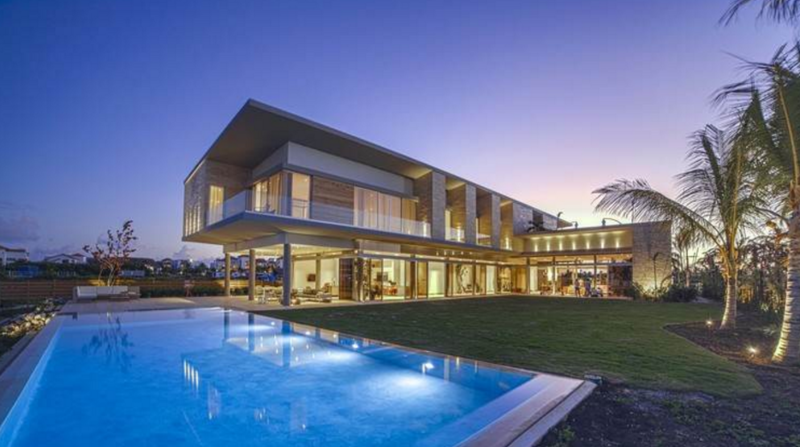 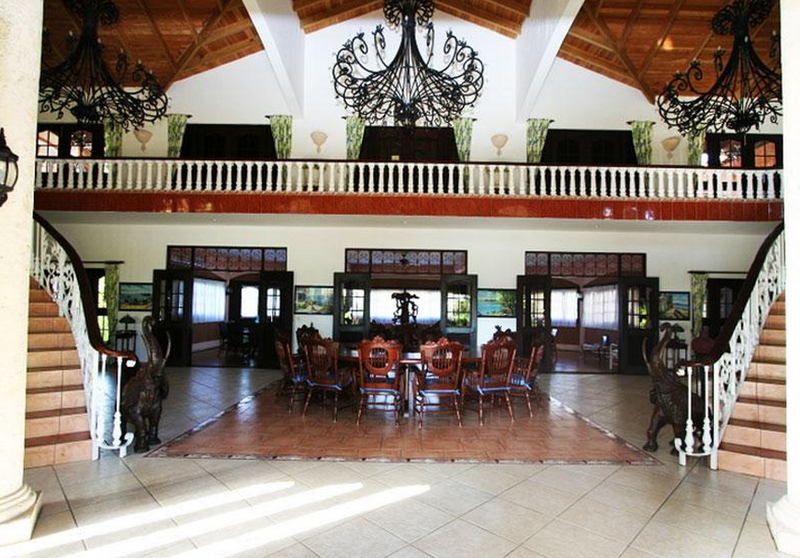 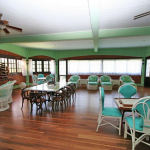 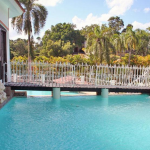 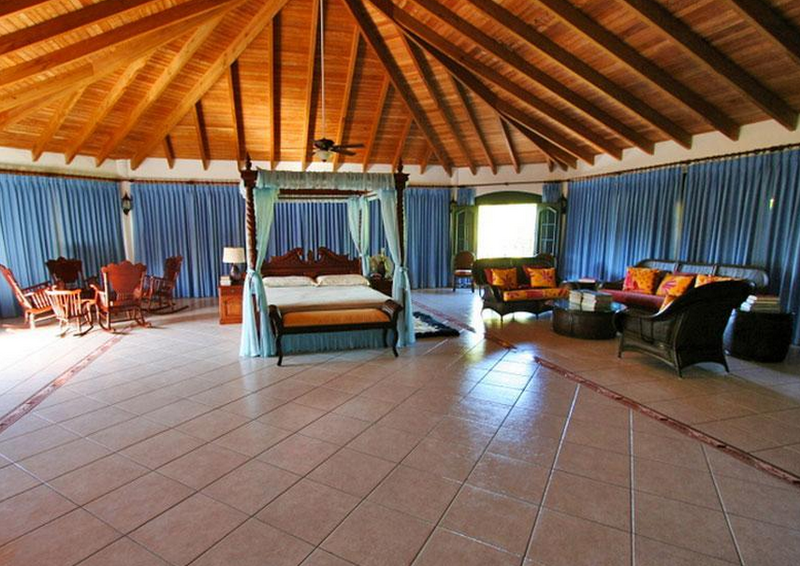 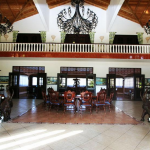 This villa is located in the city of Puerto Plata in the Dominican Republic and is situated on 3.7 lush acres. 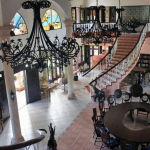 It was built in 2002 and features approximately 20,000 square feet of living space with 5 bedrooms, 8 full and 1 half bathrooms, 2-story foyer with grand double staircase, 2-story living/dining area, 2 gourmet kitchens (one in family room), trophy room/at gallery, wine cellar, home theater and much more. 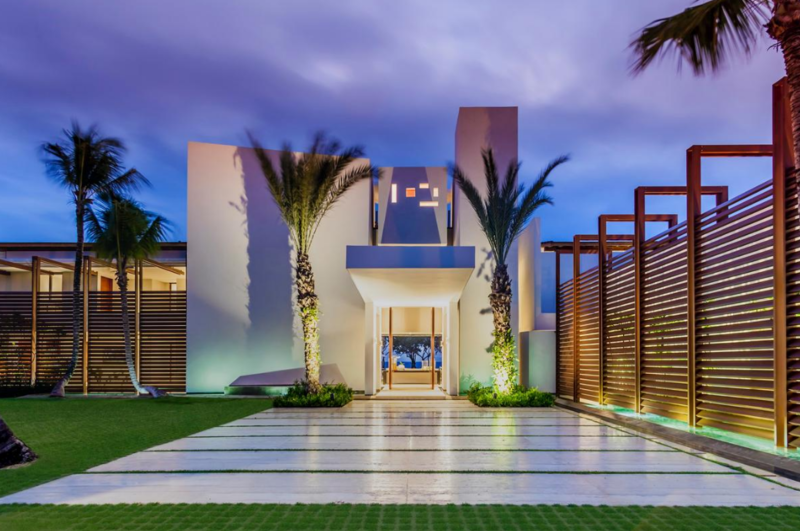 Outdoor features include a huge portico with patio, multiple balconies, terrace with BBQ area, swimming pool, tennis court and gardens.